I hope you had a wonderful holiday season and fun New Year’s celebration. I have been enjoying time with family and friends and haven’t posted for a few weeks. I thought I would share a few pictures of some of the gifts I gave to family for Christmas. Now that they have received them, I can show them off a bit. 🙂 These are two sketches I made of my grand nephews for their parents. They are such cuties!! And so much fun. They live far away from me, so I don’t get to see them that often. Well, now that all that celebrating is behind me, I am back to my usual schedule of posting once a week. I am looking forward to catching up on all my blogger friends posts, too. 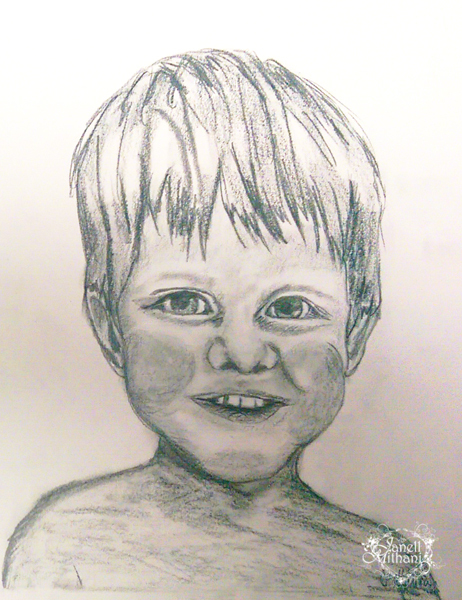 This entry was posted in Art and tagged art, portraits, sketch. Bookmark the permalink. Cool sketches! I also sketch but rarely now.. Happy New Year – what a wonderful art to share your great message! Two cuties for sure; I bet you captured them just the way they are!! Lovely sketches of cute little people! Happy New Year to you as well, glad to see you back! Looking forward to your 2015 post Janell! Wonderful drawings of your little folks! Happy New Year and may 2015 bring you bountiful Blessings!! What a wonderful gift to give parents! I know they’ll treasure them. I’m glad you were able to enjoy lots of family time. I bet those cute little guys keep things lively! How wonderful Janell – beautiful portraits that your family is going to cherish for years to come! You captured their beautiful engaging spirits. 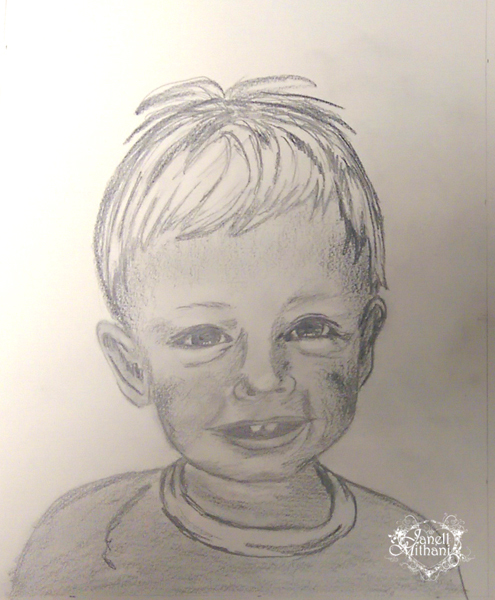 Wonderful portraits, such sweet smiles…and what a fantastic gift to receive! Thank you. They were very fun to create. You captured their joy and mischeviousness! Very nice! Happy 2015 to you as well!